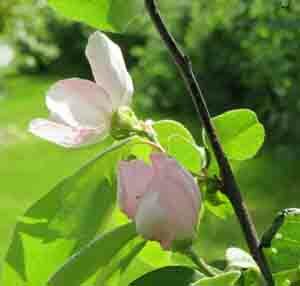 Quince is easy to grow with few pests. 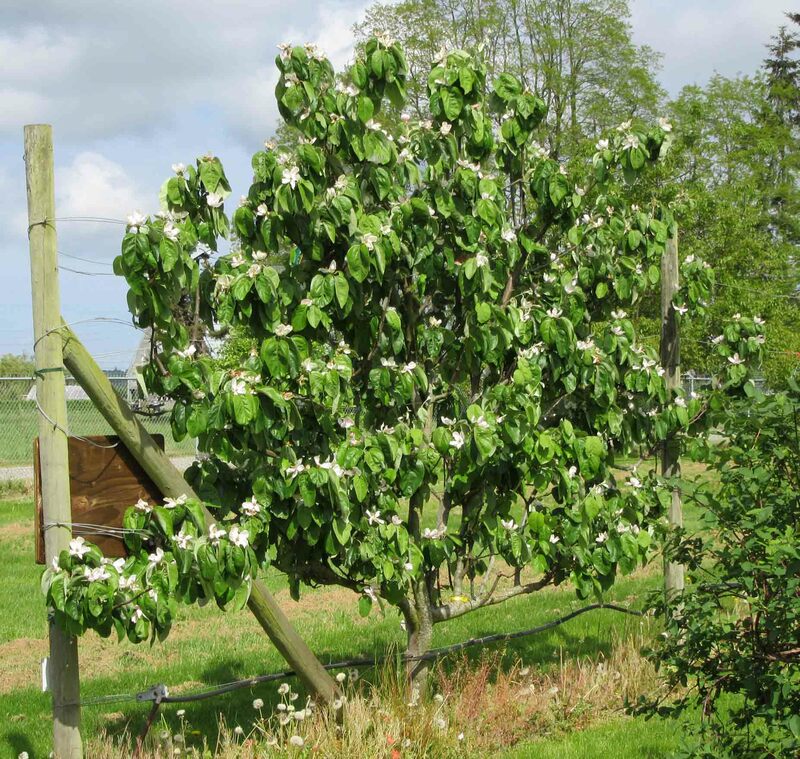 It does need some light pruning. 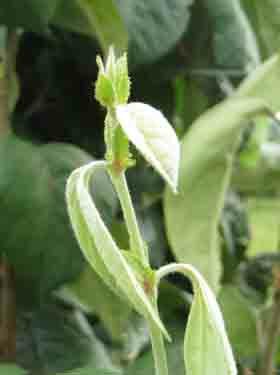 The new growth on quince is fuzzy and silvery. Quince makes a great addition to apple pies – just grate with the skin on to add to pies. They also can be juiced along with apples for a delicious mix. The fruit can be displayed in a bowel to lend a wonderful perfume to the atmosphere of a room. The quince bloom in late April. The quince in the Fruit Garden is Aromatnaya, which means aromatic in Russian. This variety was brought to the U.S. from Uzbekinstan. 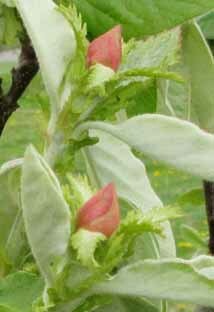 Quince buds in early April.